← New Facebook page for OSC! There’s a fine line, sometimes, between being refreshingly honest and complaining. I sincerely hope I’m the former. I really don’t like to be busy. I don’t know if it’s that, at heart, I’m naturally lazy (I hope not), or that really, my best “work” is not that which requires activity. I don’t know. But, anticipating seasons like the one upon which I’m embarking can, if I let it, really stress me out and rob my joy. I look upon this past spring and wonder how I survived. On top of homeschooling and church, we had Little League (usually four nights a week), two weekly small groups (one for my husband, and one for me), plus a bi-weekly homeschooling art class, and a homeschooling group on the off-weeks. Plus, all the activities and tasks which allow a family and home to function. And an ill mother and the puzzle of my youngest daughter’s diet and health. Seasons like that necessitate that I be highly structured and organized, with which I have a love/hate relationship. I get a lot done when my life is highly structured, but it… I don’t know. I just don’t like it. 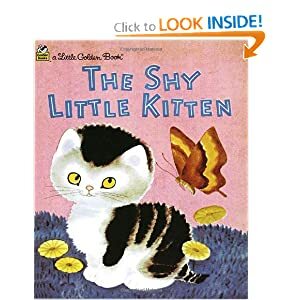 I miss the freedom, and the opportunity to, say, respond to that little pleading, upturned face, and just sit down on the kitchen floor in the midst of dinner prep and read The Shy Little Kitten to my youngest, without the pressure of knowing what it’s going to do to our schedule, should dinner be 15 minutes late. That sounds so stupid and melodramatic, but it’s true. My life is full of good things and blessings. It really is. And, it has been my observation that the enemy takes evil delight in taking our blessings and framing them — just so — in our minds so that they appear to be a detriment of one sort or another. At least, I’m vulnerable to that: I’m tempted to see the dark cloud behind every silver lining. And, that’s not good. Still, neither do I want to be dishonest and say, “I can do everything! And it all makes me happy! And it’s easy! Being stretched is fun!” Because, truly, even with all the good things in my life, sometimes it just seems like there’s too much of… something, and what I’d really rather be doing is putting my back against a shady tree beside a small stream, and reading a book with one eye, and with my other, watching my kids play. And there’s too little of that, and too much of the other, and, frankly, I’ve not yet learned what the balance is between seeking Godly peace, and simply being lazy and self-serving and yearning for the idyllic. This week, we do start the small group/kinship season again, which, in many ways, is always so wonderful. I’m truly glad, each week, when I look into the faces of those in group with me, and I hear the teaching — which frequently is just what I needed to hear — and I participate in discussion, and ministry, and even leading worship (which I really, really love)… I so often think, “I am so pleased to be able to be here.” Yet, the logistics of making it happen can nearly tip me over the edge. One weekly night, my husband stays home with our dear passel of children, and on another night, I stay home while he does the same thing at his group. Each scenario has its challenges. This week, we started having my parents back over for dinner. For literally a decade, my mother and stepdad have been coming over for a weekly dinner. But, this past year saw a dramatic decrease in that, both because of me being distraught over Fiala’s health and how to feed her (I’m not distressed over that anymore, but she still is difficult to feed, and I have adjusted myself to making two meals, every mealtime)… and my mother’s health has been in serious decline, with three major hospital stays over the last year. My mother and I also had a row a couple of months ago, our first in years and years, the end of which had her proclaiming that she never wanted to talk with me again. That was distressing. My stepdad and I came to the conclusion that it was her ill health “talking”, which is so odd, because my mother has forever been resolute and reasonable. It’s very unlike her to be changeable and petulant. But, bless God for that, because after sending me a few peace offerings (which is also unlike her) of a number of gluten-free grocery/convenience items, plus a good book, she asked if we couldn’t, please, start our dinners back up. HOW COULD I SAY NO??!?? I couldn’t. I can’t! I don’t want to. I dearly want to spend that time with my parents. Dearly. Yet, it’s one more thing on the plate, so to speak. This Monday, just my stepdad came over, as my mother is in Illinois with her mother. Same with this coming Monday. After that, it will be the two of them, but only once every other week. And, literally weighing on me is the fact that I’ve put on 25 lbs since January, and am now back to my pre-pregnancy (before Fiala) weight. That’s not a good thing. I am very uncomfortable with myself, literally, yet after a year+ of living on a hyper-restricted diet for her sake, it’s hard to Just Say No to chocolate chips. 🙂 But, I have decided that I have to do something so the weight doesn’t keep piling on, and that’s difficult, because I’m not a dieter, yet I’m aware that I simply can’t stay the way I am right now. I haven’t yet figured out exactly what I’m going to do. I'm a partially-homeschooling mother of six -- 3 boys ages 19, 17 and 15 years old, and three girls: 11, 8, and 3. I like birding, reading, writing, organic gardening, singing, playing guitar, hiking, the outdoors, and books. I very casually lead a very large group of homeschooling families in the Phoenix area. I have a dear hubby who designs homes for a local home builder and who is the worship pastor of our church. I live in the desert, which I used to hate, but now appreciate. Posted on September 22, 2010, in Birthdays, Books for children, Character Development, Christian Living, Extended Family, Family, Get Fit!, Get Organized!, gluten-free, Guitar, Homeschooling, Introspective Musings, Motherhood, Sad Things, The Dear Hubby, The Kids, Total Elimination Diet, Vineyard Phoenix, Whining, Worship. Bookmark the permalink. 8 Comments. My friend, this is the 2nd time I’ve head you call yourself naturally lazy…and while I’m sure you know yourself better than I do…I doubt I’m the only one to say “HA, are you kidding me?” You are truly one of the hardest working women I know (and I doubt before long many who know you will agree with me on that). I think that your heart’s desire is more about relationship, and enjoying beauty…and when you don’t have the time to stop and do that, it stresses you out. You are such a good mom and wife; perhaps you don’t realize that what’s “normal” for your day would make many others rip their hair out! I’ve said it before…if there were ever a catastrophic electro-magnetic pulse that knocks out all of the world’s electricity and we all had to go back to living like the pioneers, you and your family would not only survive, but thrive. I, however, would be dead by sundown. You are a truly amazing woman. I’ll be praying that God shows you a way to balance all that daily craziness that has to get done, with beautiful soul-nurturing moments that give you rest and restoration. Thank you, Dee Dee. Your comment made me both laugh and cry. 🙂 I truly appreciate your encouragement, and if you really would pray, I would be so grateful, my friend. Karen, I too have gained weight back and couldn’t exercise due to a hurt knee. However, I am getting better and am literally jogging or skipping or whatevering as I go through my house instead of walking. It seems a bit silly but moving is still moving and if I walk from my desk to the kitchen 20 times a day it may as well be a job to burn more calories. Just a thought 🙂 Working out to soon come as my knee improves. What I wouldn’t give to have weekly meals with my parents. But, largely because of my stubbornness, Mom and I have a strained relationship. I refuse to accept her self defeatest attitude and can’t curtail to the drama and complication that she drags along with her everywhere. UGH! I don’t like business either and this very week have struggled with the wants vs. the ministries that God has so graciously put before me. Not the least of which is homeschooling and discipling my children. 🙂 Then, as you have, women’s home group, and family home group along with worship. I love it all but when it stares me in the face I want to take it all back. Instead of doing what I know I ought to do (and love) I want to claim back my days and sit around reading, writing, cleaning or just getting caught up. My dislike of busy probably comes from a complicated, dramatic family life pre marriage. Praying you find peace and a comfortable norm that is both fulfilling for your soul that Longs for Kingdom things and restful too. Do you want to do something together about the post-nursing weight? Mine is making me glum. Maybe not together-together, but follow the same plan and check in with each other or something? YES!! I would like that. I don’t know about following the same plan, though… Because of the special diet I had to be on when pg w/ Fiala (don’t know how much I told you about that), I know what is effective for me: It’s essentially Phase 2 of the South Beach Diet, which is probably similar to how you already eat: It’s all whole grains, fresh fruits & vege… You don’t count calories, but you do count carbs. (Total carbs minus fiber carbs for a net of 150-175g or whatever works for you, per day.) On South Beach, lots of people do artificial sweeteners, but I don’t do that; I just limit my normal sweeteners and high-carb fruits. I do use stevia, though. I’m also setting myself the modest goal of strenuous physical activity twice a week. That’s not a lot, but it’s about double what I do currently. 🙂 I would say “working out”, but I think something like I did today would count: walking to and from the park, walking as fast as I can, pushing a heavy stroller with two girls in it. Hi, Karen. I came across your blog while searching for posts about homebirth. How funny to discover that your latest post, like mine, is about remembering to uncover the blessings God gives us in the midst of the trials of everyday life. They get so big in our minds, yet seem so inconsequential when we focus on the “right things” don’t they? Thanks for the the great verse and the much needed reminder of the one thing I really need in this life. Alisa, have you visited Rixa Frost’s blog, Stand and Deliver? She is the *best*, in my opinion, in having a fabulous mix of well-educated information, presented intelligently and reasonably, plus with some personality. She has had two home births, one planned unassisted, and one with a midwife. Thank you for your encouragement, although you probably didn’t find what you were looking for on my blog!!! !